The Research Data Curation Bibliography includes over 620 selected English-language articles, books, and technical reports that are useful in understanding the curation of digital research data in academic and other research institutions. The four missing volumes of Prisoner Books listing the arrests of more than 30,000 people between 1905 and 1918 include the "crimes" of labour leaders Jim Larkin (seditious conspiracy), James Connolly (incitement to crime), revolutionary Maud Gonne MacBride (defence of the realm), and suffragette Hanna Sheehy-Skeffington (glass-breaking with other suffragettes). LIFE IN DUBLIN in the early 20th century was tough, especially given the huge class divide. However, it was also a time of remarkable change. Newly-released digitised Dublin Metropolitan Police records show us what life was like from 1905 to 1918. 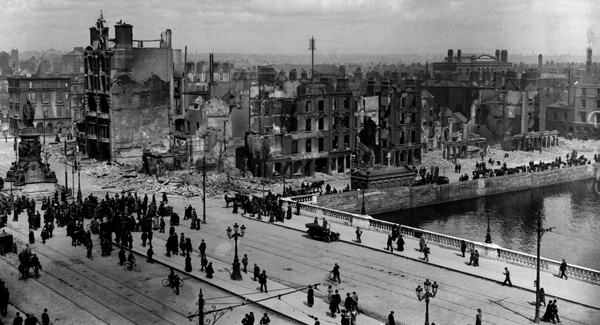 The records cover some of Dublin’s major historical events, including the 1913 Lockout, the 1916 Rising and its aftermath. Over 30,000 people were arrested during this period and these details are all contained in the records. Sean Lemass' arrest (down as John Lemass) fifth row from the bottom. 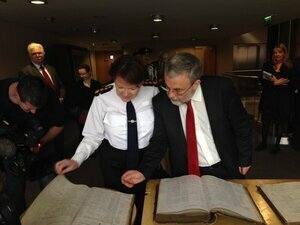 RTÉ Six-One News report on the restoration of DMP Prisoners Books to the Garda Museum and Archives, and launch of the four digitised volumes of Dublin Metropolitan Police prisoner books from the Irish revolutionary period. Flickr album of photographs from the SPITU-sponsored launch of the digital DMP Prisoners Books at Liberty Hall, Dublin. 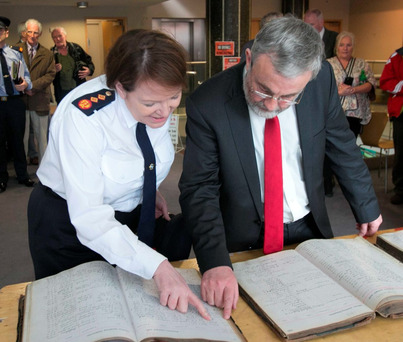 SIPTU presented ‘Prisoners Books’ concerning over 30,000 people arrested by the Dublin Metropolitan Police (DMP) between 1905 and 1918 to the Garda Síochána at a ceremony in Liberty Hall, Dublin, this morning (11th May). 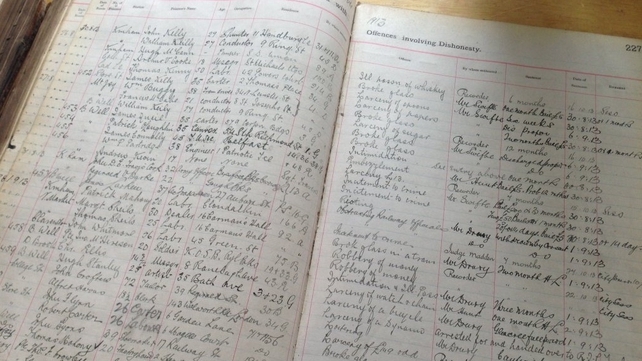 The Dublin Metropolitan Police (DMP) Prisoners Books for 1905-1908 and 1911-1918 are amongst the most valuable new documents to come to light on the revolutionary decade. They include important information on social and political life in the capital during the last years of the Union, from the period of widespread anticipation of Home Rule, to the advent of the 1913 Lockout, the outbreak of the First World War in 1914, the Easter Rising and its aftermath in 1916, and including the conscription crisis of 1918. They will also be invaluable to those interested in criminology, genealogy, and family history. The collection comprises of four large leather bound, double ledger volumes containing hand written entries that record the details of daily charge sheets issued by DMP members to offenders or alleged offenders. Each volume contains the name, age, address, occupation, alleged offence and, in most cases, outcome of cases involving over 30,000 people arrested by the DMP. Each volume also contains an index of prisoners with references to the pages containing details of the charge. The information in these volumes serves, therefore, to provide new perspectives on life in Dublin during a time of war and revolution. University College Dublin's Digital Library (http://digital.ucd.ie) has just uploaded digitised editions of four Dublin Metropolitan Police prisoners books from 1905-1908, and 1911-1918, at http://digital.ucd.ie/view/ucdlib:43945. 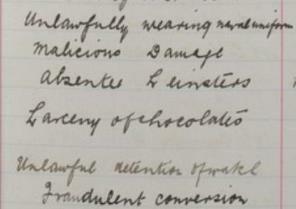 The four missing volumes of 'Prisoner Books' listing the arrests of more than 30,000 people between 1905 and 1918 include the "crimes" of labour leaders Jim Larkin (seditious conspiracy), James Connolly (incitement to crime), revolutionary Maud Gonne MacBride (defence of the realm) and suffragette Hanna Sheehy Skeffington, (glass-breaking with other suffragettes). 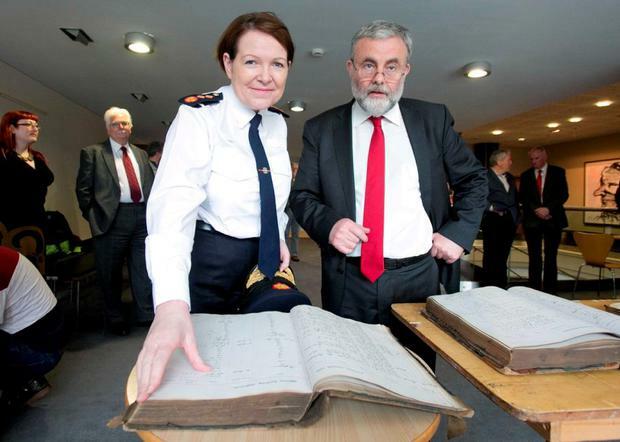 Reports containing details of 30,000 arrests by the Dublin Metropolitan Police more than 100 years ago have been published online, writes Dan Buckley. They contain details of prisoners during the Lockout of 1913, the outbreak of the First World War and the 1916 Easter Rising. 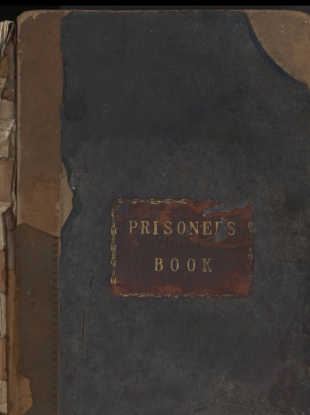 Dublin Metropolitan Prisoners Books from over 100 years ago containing reports of over 30,000 arrests have been published online.